Nudism is not allowed in Greece. However, in many secluded and unorganised beaches, it is tolerated, while in many organised beaches, there is a part of them, where nudists swim. Crete is one of the nudism-friendliest Greek islands. It is the best place to be in contact with nature and feel the ultimate freedom. 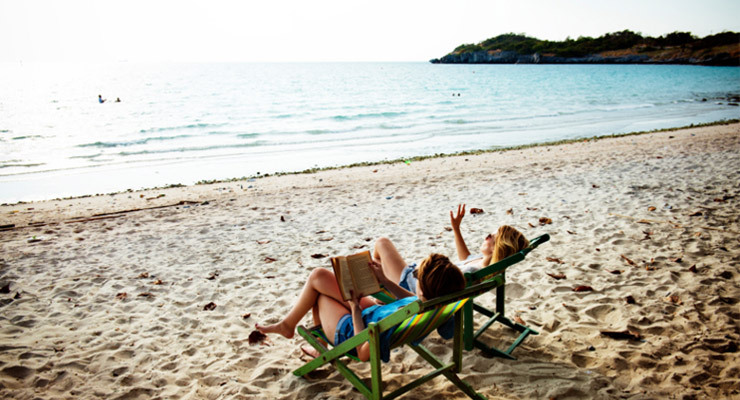 Read further to be informed about the beaches where you can do so. Although Falassarna is a family-friendly beach, there is a part of it, which is nudism-friendly. Particularly, there are many sand dunes, where you can do discreet nudist sunbathing. 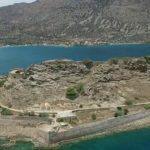 It is located near Kissamos village (60 km from Chania) and in a close distance to the beach, you can visit the archaeological site of ancient Falassarna. 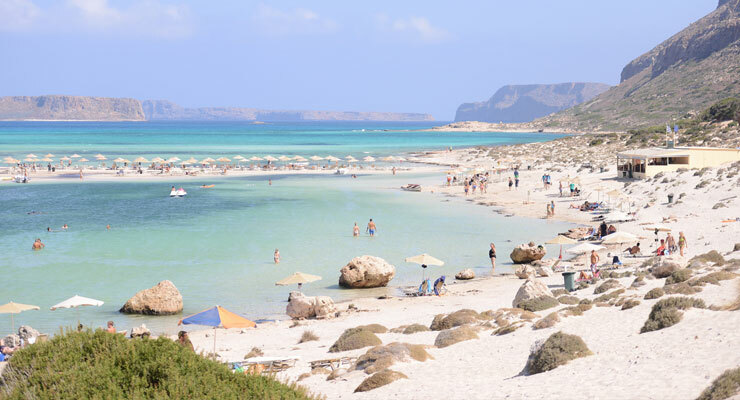 Situated 90 km from Chania, the beach of Fragokastello is definitely worth visiting not only because it is a beautiful exotic beach with soft sand, but also because it impresses with the Venetian castle creating an imposing landscape. Just walk 10 minutes to the east of the castle, and you will find a small beach with sand dunes and crystal waters, where all nudists gather. 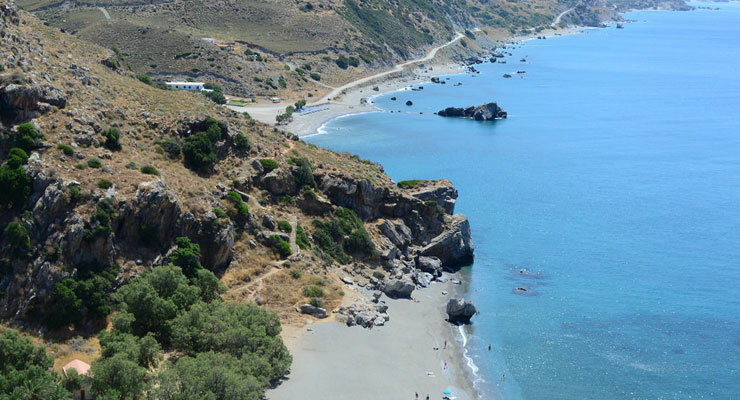 Preveli is one of the most beautiful and exotic beaches of Crete, located 40 km from Rethymno. A river flows into the sea, passes from a palm forest and forms a lake near the beach. Preveli has remained untouched by mass tourism, and thus it is not very crowded. Due to its secluded position, it is one of the best nudist beaches in Greece. In the route between Elounda and Agios Dimitrios, you can find a small rocky beach, which is totally protected from the winds, and thus it has calm turquoise waters. It is totally unorganised and has no touristic facilities, but this makes it nudism-friendly. It is not crowded, and you can enjoy there a relaxing and peaceful natural environment. In a very close distance to Matala, in the southern side of Heraklion prefecture, overlooking the Libyan Sea, is located Kommos. It is an exotic beach with golden sand and emerald waters. The scenery is impressive thanks to the huge rock, which is called Volax and according to the mythology was the rock that Cyclopes threw against Ulysses when he pierced the only eye of Cyclops with a stake. The beach is ideal for nudists as well as for nature lovers as it is the bay where the Mediterranean sea turtles Caretta Caretta lay their eggs. On the southern side of Chania prefecture, is located Gavdos, a tiny islet, which is the southernmost point of Europe, in the Libyan Sea. The main beach of Gavdos is the beach of Ai Giannis, a breathtaking beach with cedar trees, dunes and thick, golden sand. On this bay, rackets, noise, sunbeds and other touristic facilities are forbidden. The beach is the most famous nudism-friendly spot in Greece. A rough mountainous landscape of remote plateaus and impressive gorges reaches all the way down to the sea to create one of the most spectacular coastlines in the Mediterranean Sea. This is southern Chania (Need to rent a car in Chania? Click Here), a region ideal for travelers, who want to discover the off-the-beaten-track side of Crete and meet authenticity in a wild scenery. 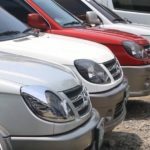 Rent a car in order to enjoy the greatest opportunity and explore a hidden paradise of untouched villages and exotic beaches. 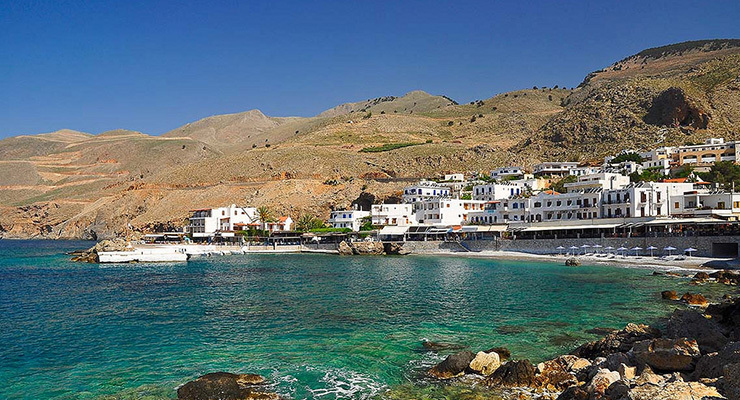 A hard-to-reach rugged area surrounded by gorges and steep cliffs, Sfakia, inside the White Mountains, is perfect for hiking and swimming at its magical beaches. The plateau of Askyfou should be your first stop if you approach from the north, and it is comprised by five villages, the biggest of which is Ammoudari. 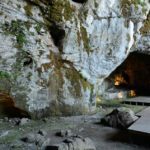 One of the most popular activities in the region is hiking or horse riding through the Imbros Gorge, which is one of the deepest gorges in Crete. 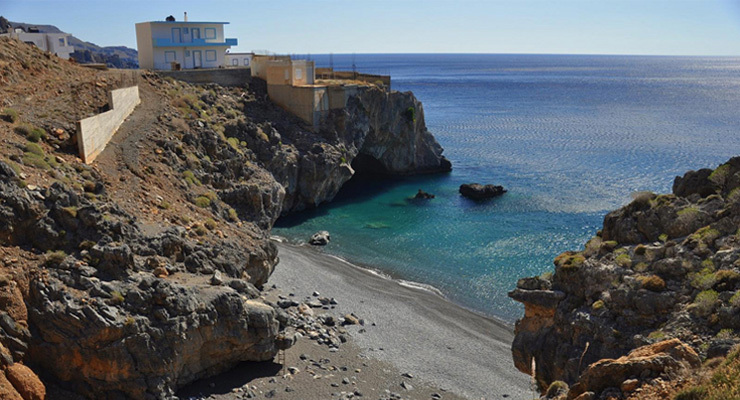 East of the main town of Sfakia, you can go to Leska, a sensational beach with pebbles, accessible by boat from Koutelos, another calm and windless beach. A rock on the western side of the bay separates it from Pera Koutelos, a small cove, ideal for visitors seeking isolation. Move on to Frangokastello, a large beach with golden sand, shallow emerald waters and a fortress from the 14th century as a landmark. From Chora Sfakion (city center), you can go westwards to the unspoiled villages inside the mountain range. Anopoli and Livaniana are the most beautiful and traditional settlements, from where you can reach Lykos and Foinikas beaches. Aradena is an abandoned settlement with just a few houses near a gorge of unique beauty under a modern metal bridge. From this bridge, you can make the highest bungee jumps in Greece. Don’t miss the beaches of Ilingas with its crystal-clear waters and thick sand. Next up, Glyka Nera, a large bay with huge rocks, and last the sea caves at Marmara. Paleochora is an enchanting town with natural beauty and authentic atmosphere. Gialiskari nearby is a superb two-sided beach. Lissos Beach is located on the site of an ancient city with the same name. Next up is Domata, an undiscovered beach with a pine forest behind it, while Kalogeros has a large cave offering shade. Agia Roumeli is a coastal village at the mouth of Samaria Gorge. 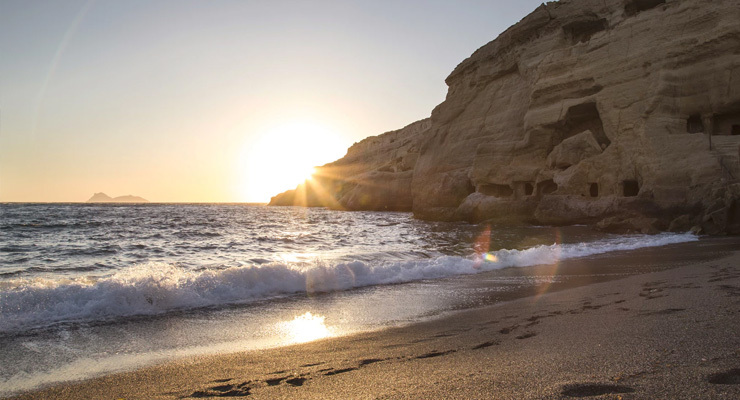 From there, you can reach by boat or via a trail the amazing Agios Pavlos beach with its dark sand and small pebbles. Grammeno peninsula has two sandy beaches with cedars and dunes, while Viena Beach has a natural seawall of rocks that makes it seem more like a lake. 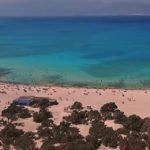 A seaside trail links Kedrodasos, the forest with cedars, dunes and white sand, to Elafonisi, the renowned beach with the pink sand and the narrow strip of land that connects the beach with a small island. The prefecture of Chania has not only the amazing town that charms every visitor. It also has astonishing beaches with impressive landscape and crystal waters that are waiting for you to swim and sunbathe. Rent a car in Chania and get ready to explore the surrounding area, which turns your summer into amazing vacation by the sea. Balos Lagoon is one of the most beautiful and breathtaking sceneries in Greece, and it is constantly awarded as one of the best beaches in the Mediterranean Sea. Emerald waters in a bay that looks like a lagoon captivate every visitor. The beach is accessible by boat from Kissamos village, about 60 km from Chania. Falassarna is a family-friendly beach thanks to its characteristics: shallow waters, soft sand, sunbeds and umbrellas guarantee you and your children a perfect day by the sea. It is also located near Kissamos village and in a close distance to the beach, you can visit the archaeological site of ancient Falassarna. Elafonissi is one of the best beaches in Greece with white and pink sand. Yes, the sand is literally pink! Cedar trees to the coastline and turquoise waters make Elafonissi the place to be. However, remember that the beach is not organised, but there is a cantin to buy water and something to eat. Plus, there is also a camping behind the beach. 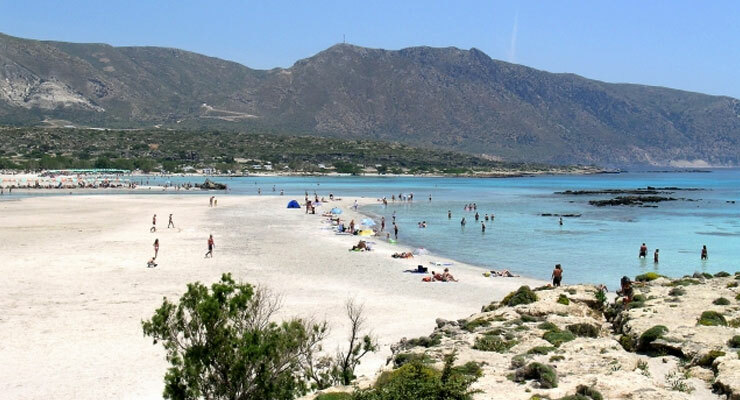 Pachia Ammos is a golden bay, located in a short distance to the small town of Paleochora. It is a fully organised beach with water sports facilities that is ideal to spend an active day with your kids. Are you in search of an off-the-beaten-path choice, away from mass tourism? Then, Foinikas is a must! It is not easily accessible as it is located 80 km from Chania, and you have to walk to get there, but the peace and privacy you find there are truly amazing. Agia Marina is situated very close to Chania, only 10 km. It is an organised bay with tourist facilities, water sports and diving club. Thus, it is the perfect spot to have fun, meet young people and stay in the area around Chania. But keep in mind that Agia Marina gets really crowded during the summer months. Another bay close to Chania is the beach of Agioi Apostoloi. 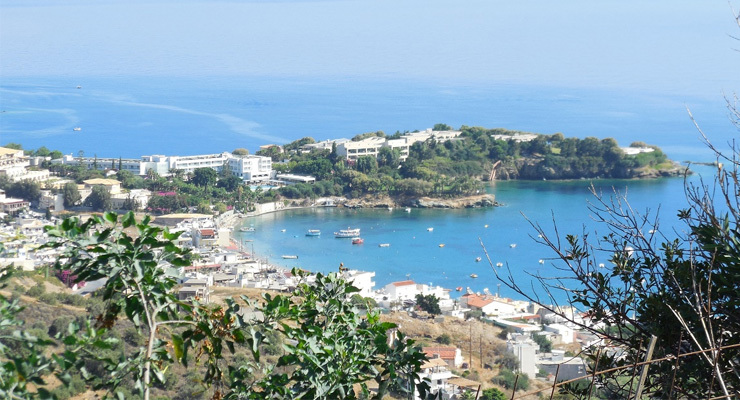 Only 3 km from the capital of the prefecture, Agioi Apostoloi has every touristic facility you may need, diving club and taverns at the beachfront, but the place is calmer than Agia Marina. Although it is located 90 km from Chania town, the beach of Fragokastello is definitely worth visiting not only because it is a beautiful sandy beach, but also because it impresses with the Venetian castle creating an imposing landscape. Besides, the name of the beach means Frankish castle at Greek. 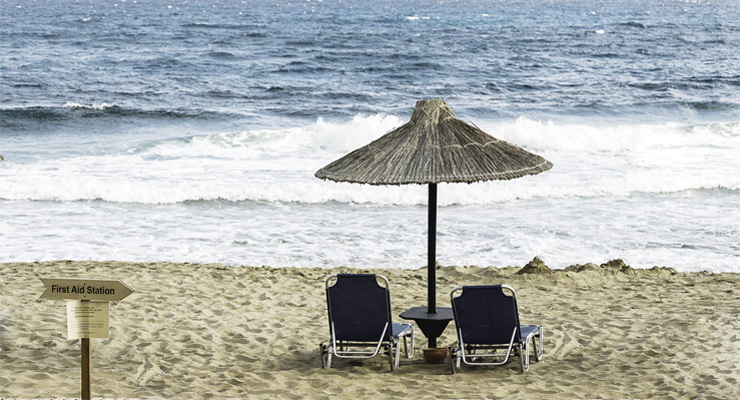 Which are the best beaches in Heraklion? Heraklion is the largest city in Crete and one of its most touristic prefectures. 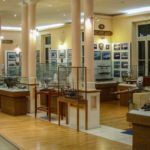 It is not only the historical sites of Knossos and Phaistos as well as the children’s paradise Cretaquarium that make the wider region around Heraklion so popular among travellers from all over the world. It also has stunning beaches that are well-organised. Party or family-friendly beaches, in the Aegean or the Libyan Sea, the variety is great! If you rent a car in Heraklion, you can see all of them and swim in turquoise sea waters. 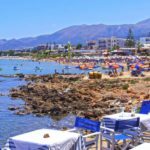 Malia is the most famous beach resort in Crete. It attracts people, who want to party and have fun since the town is a top nightlife spot with clubs that organise international parties mainly for British travellers. Thus, the beach of Malia is ideal to dance and enjoy the atmosphere in one of the numerous beach bars. Matala was famous during the ’60s and 70’s beach as a hippie place. The caves above the beach created the ideal scenery for the hippies to stay and have fun, but today, this long, sandy, organised beach is ideal for families that want peace and leisure. The village near the beach is a touristic town, which attracts also young people as a vivid nightlife spot. Agia Pelagia is a small coastal settlement, which is located 10 km from the city of Heraklion. It gets crowded during summer, but it is definitely worth a visit thanks to its thick sand and the calm emerald waters that create an exotic scenery. Near Agia Pelagia, beautiful is also the beach of Psaromoura. 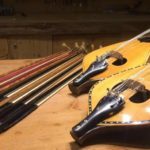 Both are ideal for families. Ammoudara is the closest beach to Heraklion, so remember that it is really crowded in the high season. It is a very long, sandy, organised beach, with water-sports facilities and diving club, which make the place ideal for families as well as for young people, who want to combine swimming and sunbathing with fitness. Two big rocks emerging from the sea and a huge cave create the breathtaking landscape of this secluded beach, which is located 60 km south of Heraklion. Due to the 3 km of dirt road to access the beach, you can enjoy peace and privacy on this untouched beach, which is not organised. The ultimate contact with nature! The southern side of Crete overlooks the Libyan Sea, where you can find truly exotic beaches, like being in Africa. 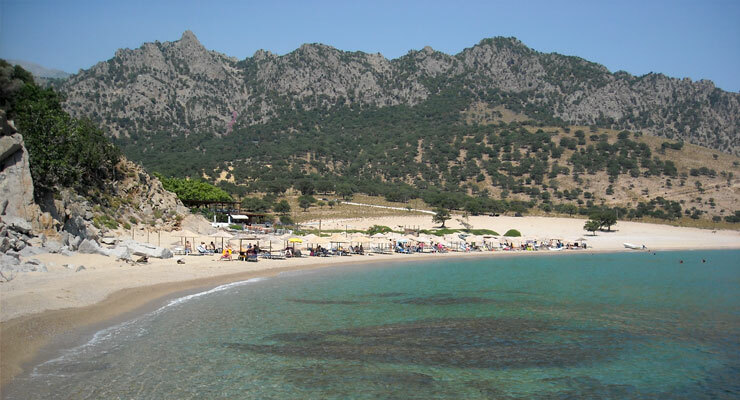 A perfect example is the beach of Lentas, which is a remote beach, near a friendly fishing village. Because it is uncrowded, Lentas is a nudism-friendly beach. Don’t miss it! Take the boat from Matala and go to the virgin cove of Agiofarago with its magnificent environment. Your other option is to hike on foot through a gorge for about 1 hour and then access this impressive beach, which is definitely worth this excursion! Rethymno is the third town of Crete, and it is a region with great urban and natural beauty as well as long and rich history. 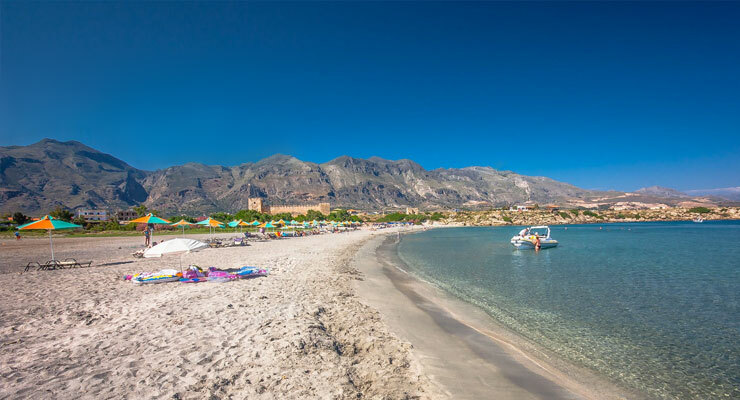 In addition to the walks you can do in Rethymno and the villages around it, the nightlife, the museums and the historical sites, the area of Rethymno has many astonishing beaches to offer, some of which are considered among the best beaches of Greece. The beaches of the northern part of Rethymno prefecture, like Panormos and Bali, are organised bays with all touristic facilities. 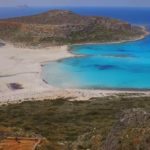 On the other hand, the beaches of the southern side that overlook the Libyan Sea, like Preveli, are secluded, undiscovered coves that reveal the authentic side of Crete’s most unexplored area away from the crowds. These are the best beaches in Rethymno that you should definitely visit. Preveli is one of the most beautiful and exotic beaches of Crete, and it is located 40 km from the town of Rethymno. A river flows into the sea, passes from many palm trees and forms a lake by the sand. The beach is unorganised and unspoiled, but there are water sports facilities to explore the lake and the river. The beauty of the landscape is just breathtaking. Bali is located 32 km from Rethymno, and it is a very popular beach thanks to its wild landscape, the peaceful atmosphere and the crystal sea waters. Nearby, there is a village with many taverns and hotels. Bali is the perfect place to relax, enjoy the touristic facilities and swim for hours in the calm waters. Agia Galini, 55 km south of Rethymno Town, is a long sandy bay, surrounded by steep cliffs that create an imposing scenery. The picturesque fishing village behind the beach is the perfect place to eat and relax after swimming and sunbathing. 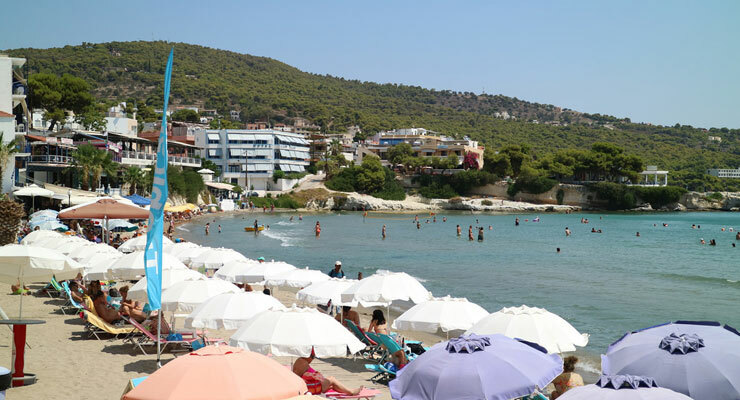 Remember also that Agia Galini beach has to offer a wide range of water-sports facilities that make it family-friendly. Panormos, which is situated 20 km from Rethymno, is a fully organised beach on the northern side of the prefecture. 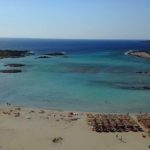 Its clean and shallow waters as well as the charming settlement of Panormos with all the touristic facilities make this beach very popular for families with kids. 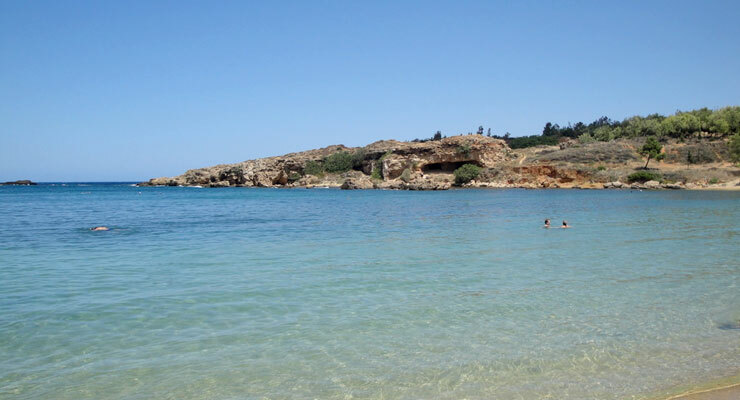 Triopetra is an isolated beach on the southern side of the prefecture, 52 km from the town. Three rocks at the end of the beach give the feeling of protection from the strong winds, but the most fantastic feature of Triopetra is the wonderful sunset, when the sun is lost in the horizon of the Libyan Sea. Agios Paulos is a beach of gorgeous beauty, which however, because of the difficulty of the road, is secluded and away from mass tourism. 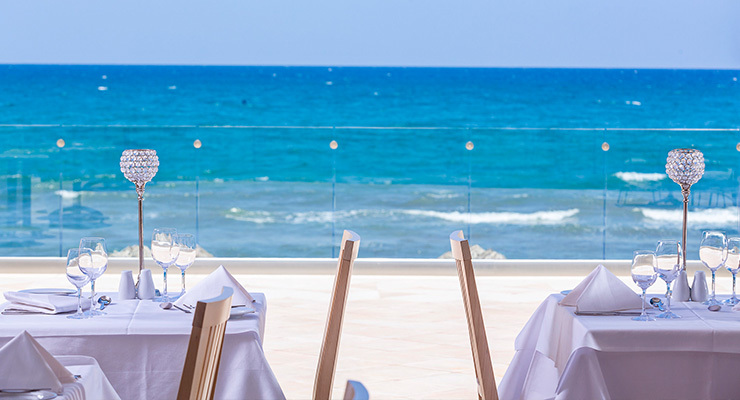 It is also located on the southern side of the prefecture, 60 km from Rethymno, which has the most exotic beaches. The beach is unorganised, so remember to take with you water from the nearby village.